Adam Benton and the team at Inspire Good Publishing Co. are using their motivation journals as a way to encourage positivity in the world. 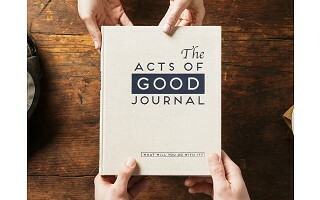 And their beautifully made Acts of Good Journal and Patriot Notebook do just that, one act of kindness at a time. 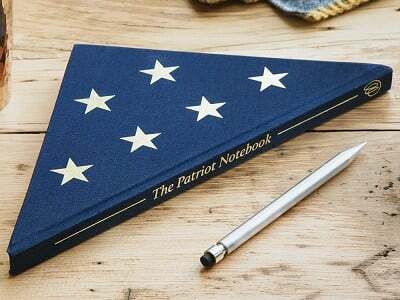 The folded flag-inspired Patriot Notebook is made to foster patriotism through simple ways to give back to those in the military. Proceeds from each book benefit military families, too. 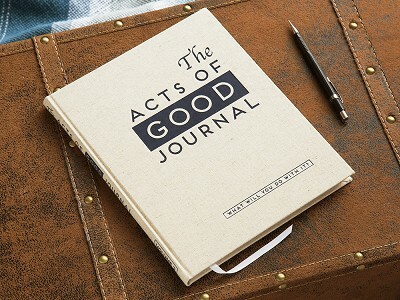 The Acts of Good Journal was made to be passed on. 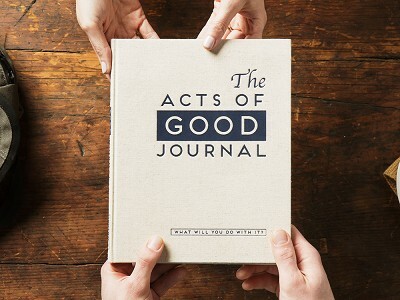 It has 12 prompts to inspire acts of kindness and good deeds. Log your experience and give the journal to someone else who wants to get involved. When the journal's journey is complete, it is returned to the original owner to keep as a memento of all the good it helped create. Do these books give back? Yes, for every Patriot Notebook purchased Inspire Good gives back to a military non-profit honoring Gold Star families. The term “Gold Star” describes a family member who has lost a loved one in military service. The Gold Star first made an appearance during World War I after being placed over a service flag’s blue star when a service member was killed in combat. Many Gold Star families wear the Gold Star lapel pin to signify their pride and acknowledgement of honor and sacrifice made by those in the armed forces, and their families.